Following an extensive beta-testing phase for Android and recently iOS, Microsoft's much-lauded Cortana virtual assistant has been officially rolled out for Google and Apple's respective mobile platforms. If you've no experience with Cortana, it's not too dissimilar to the likes of Apple's Siri or Google Now. You can ask it questions, to which you may get some surprisingly witty answers, as well as check sports scores, set reminders, and perform other day-to-day tasks. Where Google Now is a rather machine-like feature, Cortana's demeanor is akin to Siri, and like Apple, Microsoft has put some effort into giving it some personality. Based on the Cortana character from Halo, as gaming geeks will already know, Cortana has been a hit on Redmond's own Windows platform. The fact that it arrived much later in the day than Apple and Google's corresponding efforts has allowed Microsoft to steal many of the good aspects of both served to aid Cortana's progress, and as such, the relatively fledgling feature is ready to take on the Big Two. The Android edition, as you might expect, is slightly better integrated than its iOS-ready counterpart. You'll be able to fire away questions and requests using the "Hey, Cortana" command whether you're in-app or on the Android home screen. Since iOS is a walled garden, those on iPhone, iPad and iPod touch won't be able to enjoy said feature, which will only be made possible if Apple decides to loosen its grip and offer developers more jurisdiction on what they're able to access. Either way, it probably goes without saying that neither of these newly-released apps will live up to the all-singing, all-dancing version for Windows. Android's open-source nature affords the voice assistant more scope to shine, but ultimately, the experience will vary considerably dependent on which platform you use Cortana. Away from today's releases, Microsoft has big plans for the virtual feature. Having cozied up to the disruptive Cyanogen -- a company that has long sought to rejuvenate Android with its own, notably popular fork -- Cortana will soon become an integrated part of the Cyanogen OS. Whether the new-found bond between Microsoft and Cyanogen will be a fruitful one remains to be seen. But it's clear that the Xbox maker sees Cortana as a major asset in its effort to expand its mobile business. 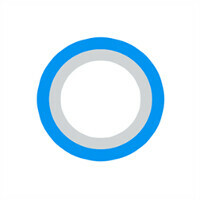 If you've been waiting for Cortana to crawl out of beta on Android or iOS, hit up the download links below. Initially, the app is only available to those in the U.S. and China, though we'd expect a more expansive roll-out in the near future. I asked Cortana, "Do you love me?" And 'she' replied, "We definitely have a spark". lol samsung has some amazing products but man don't they understand they need to ditch s voice? just let google handle the voice commends. That would be great. I'm sure Microsoft would make a much better deal than Google would. However, Samsung is pretty determined to provide their own solutions. And that's when you know someone doesn't get laid. And that's coming from someone who have a female anime character as a dp. Yep, was a reference to my old love for android, but thought it would be gay to have #17 so I decided to go for the girl. Btw when you get your nut on: anime girls are freaky af! i have L630....i use it as a regular phone....should i download developer preview ??? ?i really want experience W10 mobile will i get the original update from Microsoft once it is available??? I'm pretty sure this isn't the forum for those kind of questions. Try winbeta or windowscentral. That said, the W10M preview is pretty good right now. I know PA did an article a while back comparing Cortana to Google Now and Siri but I'd like to know if Cortana currently beats out Google Now. Google Now does a better job of guessing what you might be interested in. Cortana does that a little, but mainly lets you tell it what you want it to do. question is is it better then google? Google on iOS feels so much cleaner and nicer than this junk box. Just tried it out on my 6S+. Nice interface, but when typing in questions like "Top milk distributers in the United States", it brings up this hideous web interface. "...allowed Microsoft to steal many of the good aspects of both..." Oh don't do this, don't pretend Microsoft is the only one "stealing" things. If you're going to point out stuff like that, do it fairly! And Microsoft had many voice features that neither iPhone or Android had for a long time. They just renamed it later to "Cortana". Hahah PA, your bias is so cute.